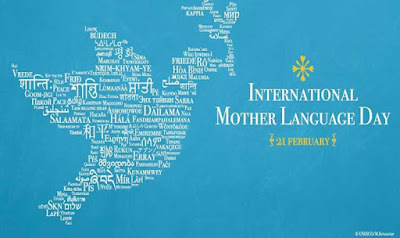 International Mother Language Day (IMLD) is observed on 21 February every year to promote awareness of linguistic and cultural diversity and promote multilingualism. It is very important for the sustainable development that the leaners get the education in their mother tough and in another language It is through the mastery of the first language or mother tongue that the basic skills of reading, writing and numeracy are acquired. Local languages, especially minority and indigenous, transmit cultures, values and traditional knowledge, thus play an important role in promoting sustainable futures. International Mother Language Day also supports target 6 of Goal 4 of the Sustainable Development Goals (SDGs): "Ensure that all youth and a substantial proportion of adults, both men and women, achieve literacy and numeracy."